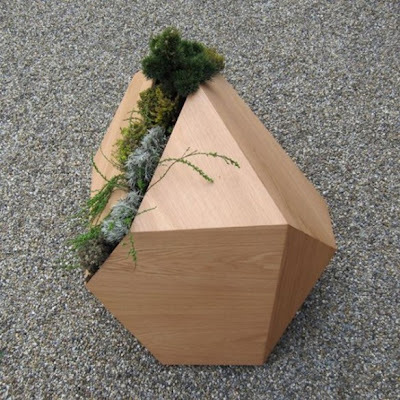 15 Modern Planters and Creative Flowerpot Designs - Part 4. Collection of 'Unusual Planters and Clever Flowerpot Designs' that will make your indoor and outdoor gardening more interesting. 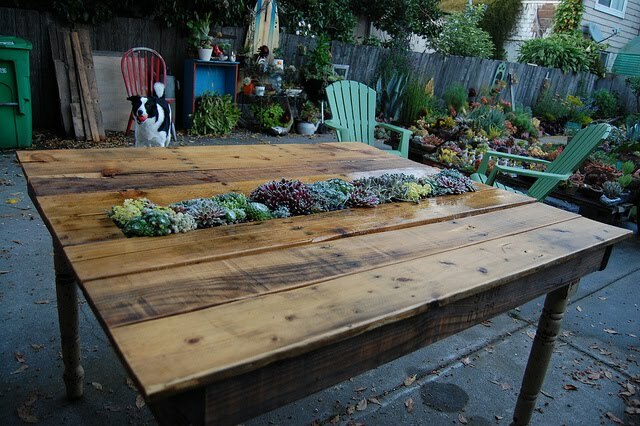 Succulent Pallet Table: Can you believe it that this cool succulent table is created using old pallets and table legs. 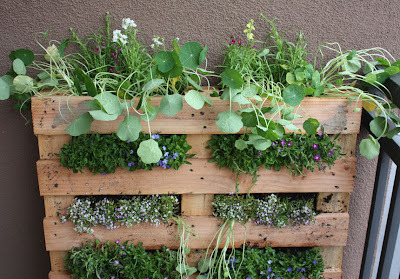 Pallet Planter: Follow the instructions to make your own pallet planter. 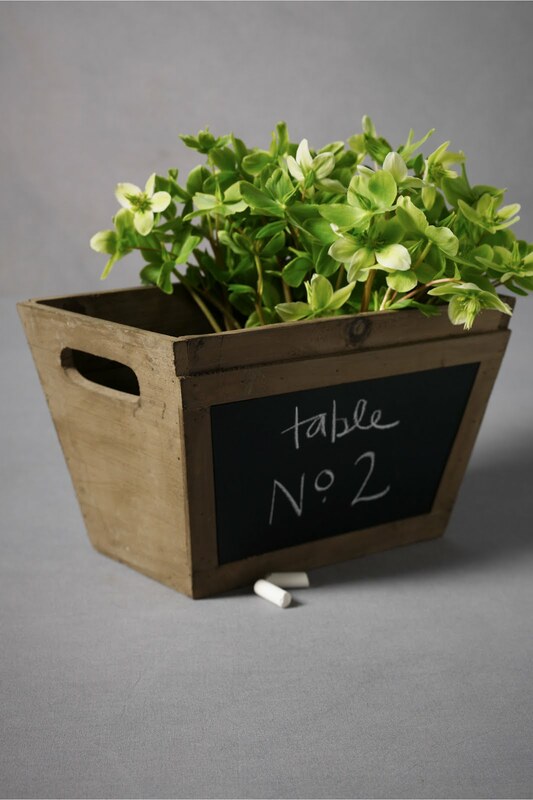 In Writing Planter: Write down any message or note on the chalkboard face of this versatile planter. 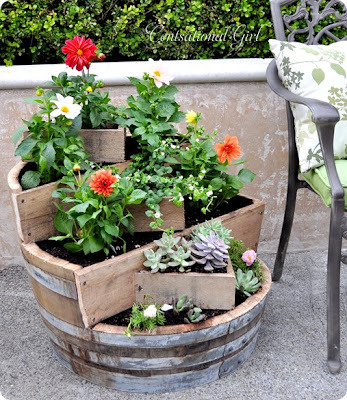 Barrel Planter: Just follow the step-by-step instructions to make a cool barrel planter. 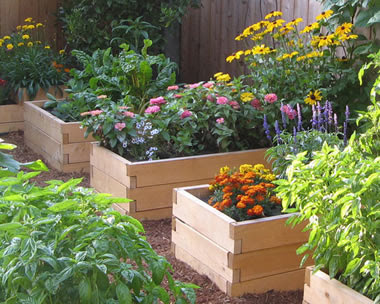 Planters Boxes: These look simple yet elegant. 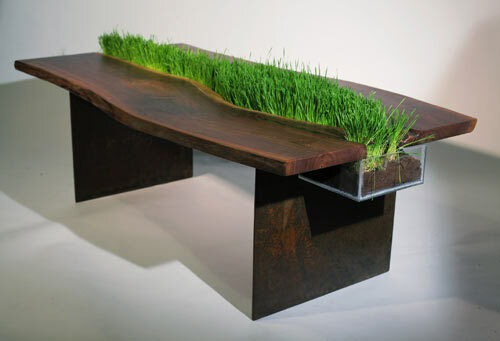 Planter Table by Emily Wettstein: Creation of designer Emily Wettstein who uses used walnut and steel to create each piece, and it features a removable planter right in the center. Wooden Box Planter: This creative planter was created using box and driftwood. Colorful Planters: These cute colorful planters by the windowsill brightens up dull and boring windows. 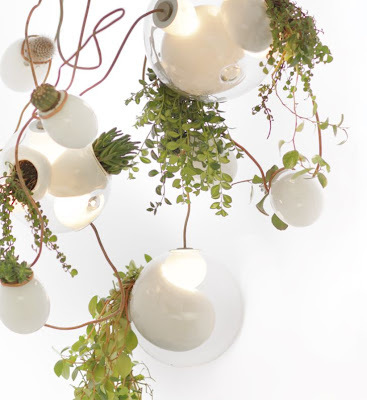 Planter Chandelier by O Arbel: Creation of Vancouver-based designer O Arbel, the 'planter chandelier' made of glass has space for light sockets and planters alike. Tiered Terracotta Planter: You need three planters; one large, one medium, and one small and you need to adjust them within one another in a way to create a planter that is as impressive and cost-effective. 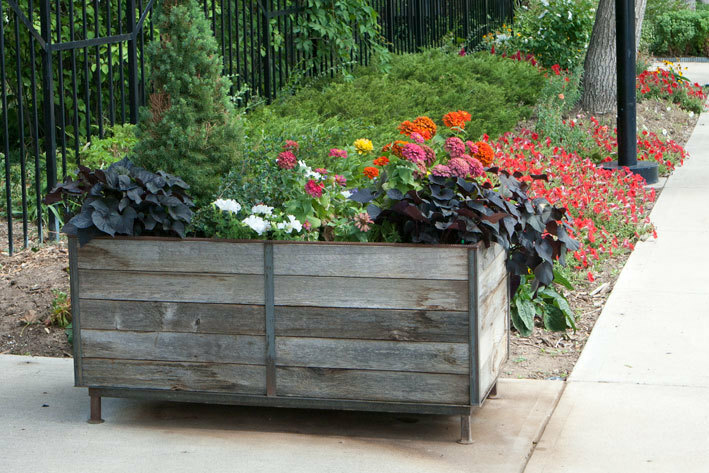 Wooden Planter: Little bit of space was opened up in the middle of the wood and put several ground that will be the media for plants to grow up. Antique Sewing Box Planter: A antique sewing box is turned into a creative planter. 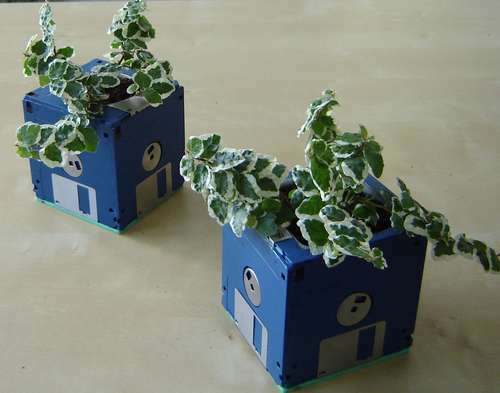 Floppydisk Planter: A creative and functional reuse of floppydisks. 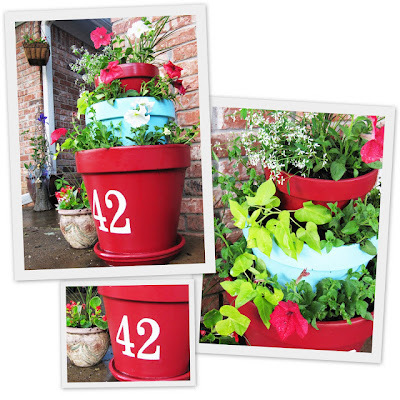 Planters by Nicky: Nicky is exceptionally good when it comes to reusing the stuff what others think of no importance. 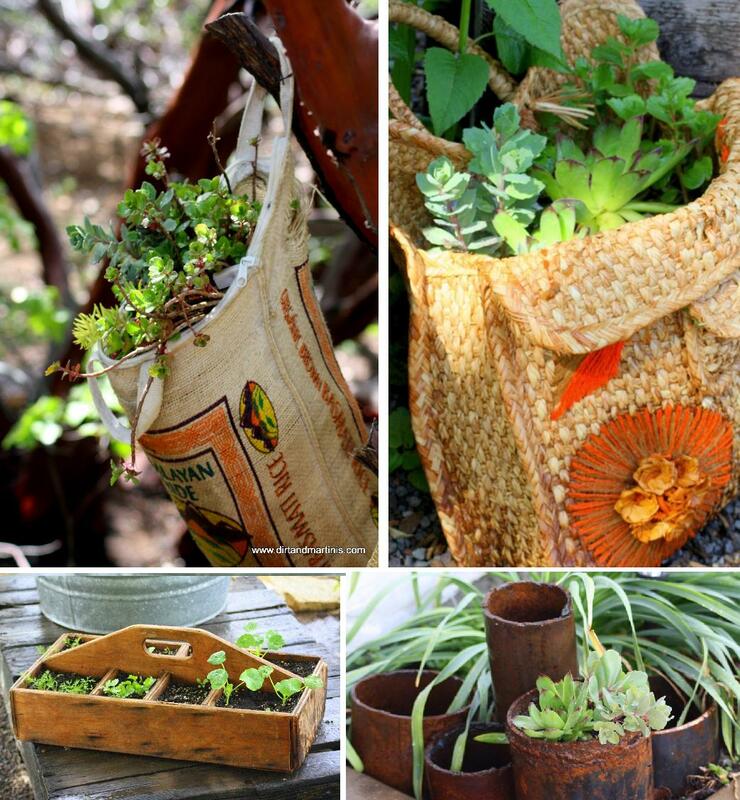 This is evident from the jute bag planter, metal pipe planters, wooden box planter and straw planters. Reused Wood Planter: Its made from used materials; it measures 4' long by 2' wide. 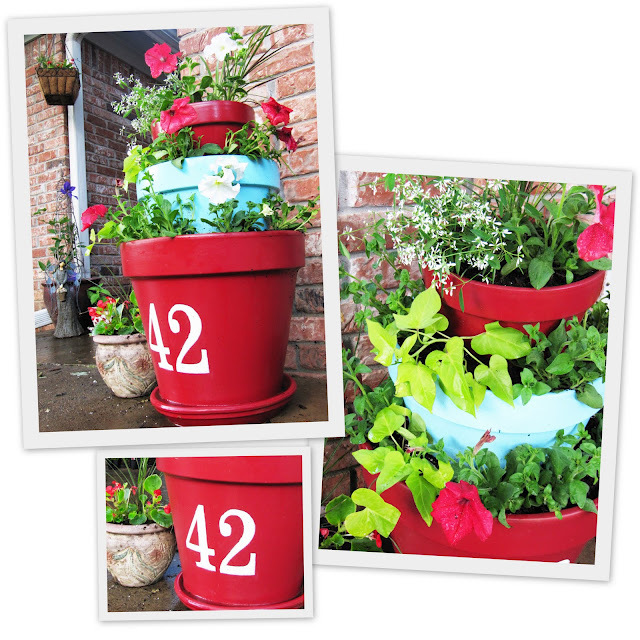 Don't miss to check out "Unusual Planters and Clever Flowerpot Designs - Part: 1| 2| 3| 4." 20 Cool and Useful Kitchen Tools - Part 8. 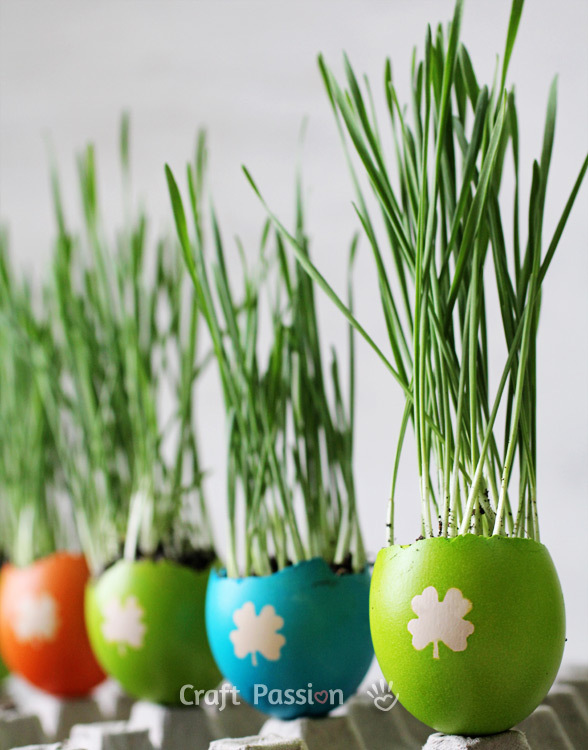 25 Clever and Creative Advertisements - Part 2.